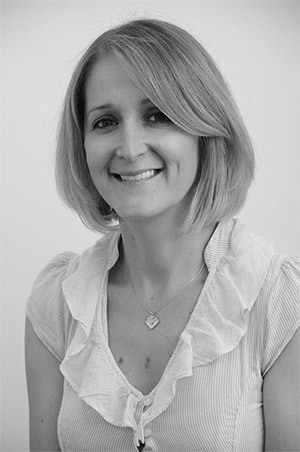 I am an experienced practitioner of acupuncture and Chinese herbal medicine practising at the Surbiton Natural Health Centre in Surbiton, Surrey. I studied Chinese medicine for five years and have a First Class honours degree (BSc) in acupuncture and a Master’s Degree (MSc) in Chinese herbal medicine awarded with distinction from the University of Westminster in London. I initially began my working life as a solicitor in a large legal firm in London specializing in financial services law. Although I had an interesting job, I felt that I was on the wrong professional path, but I was unsure about what I wanted to do instead. I had always been interested in complementary medicine and a chance meeting with an acupuncturist one evening led me down a completely different road that culminated in a change of career and a complete change in my life. After I graduated as an acupuncturist I established my own Chinese medicine practice in London and I also worked for nearly two years as a consultant practitioner with the Fertility Support Company, which at the time had links with the IVF unit at Hammersmith Hospital in London. I have also spent time working with my friend and colleague Janetta Bensouilah at her busy clinic in Cobham, Surrey, treating patients with a variety of fertility issues. Over the course of my years in practice and inspired by the wonderful results that I have often seen achieved with Chinese medicine, I have developed a special interest in treating infertility, women’s health issues, such as PCOS and endometriosis, and pregnancy-related conditions and helping patients to manage painful conditions. I continue to develop my understanding of Chinese medicine by attending regular seminars given by leading Chinese medicine practitioners from all over the world and I have a postgraduate certificate in Obstetric Acupuncture issued by the Royal College of Midwives. In 2014 I had the opportunity to complete a gynaecology internship at the Shandong TCM Hospital in Jinan, China where I saw acupuncture and Chinese herbal medicine being used to a treat a wide-range of gynaecological conditions and infertility. The hospital also had a very busy IVF clinic where Chinese medicine was integrated with Western treatments to assist fertility, such as IVF, ICSI, Clomid and IUI. Since my return to the UK I have tried to adapt and incorporate into my clinic the knowledge and techniques that I learned in China. 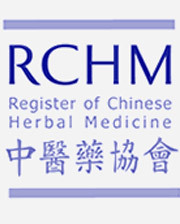 I am a member of the Register of Chinese Herbal Medicine and the Association of Traditional Chinese Medicine and Acupuncture UK and abide by their strict Codes of Practice on safety standards and ethical practice. My approach to treatment is thorough, caring and sensitive and I always work with the utmost sensitivity, honesty and integrity to ensure the best outcomes for my patients.